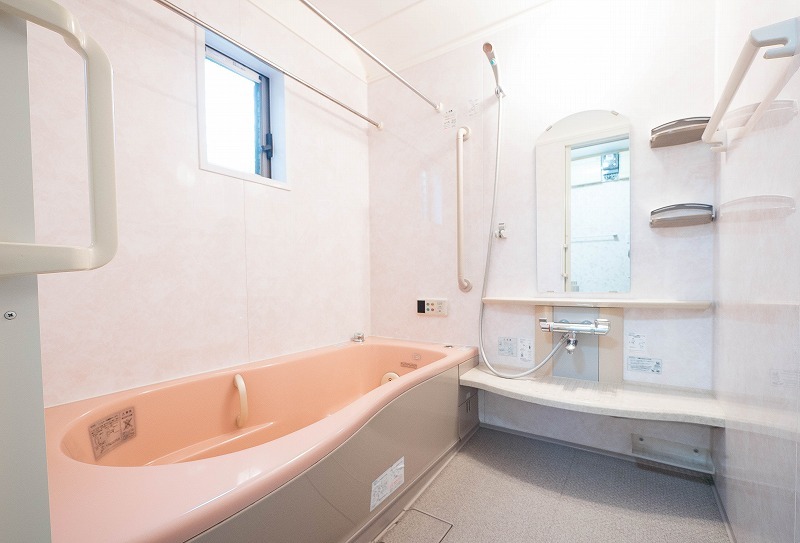 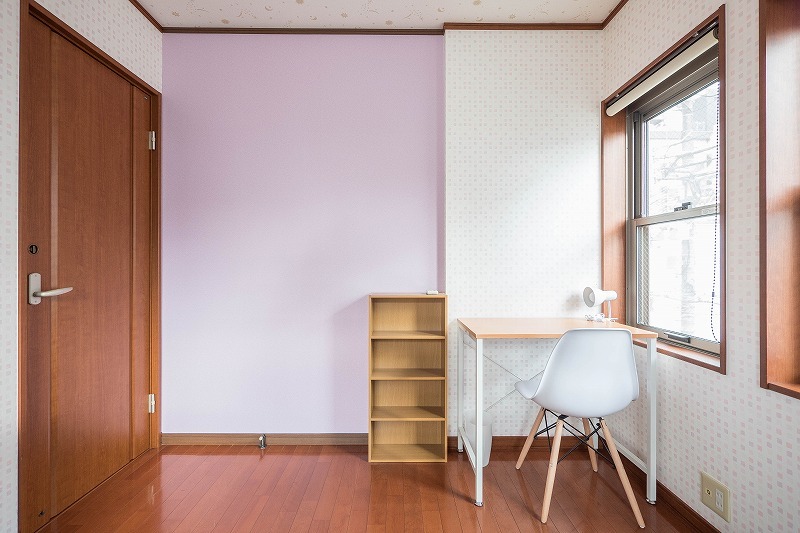 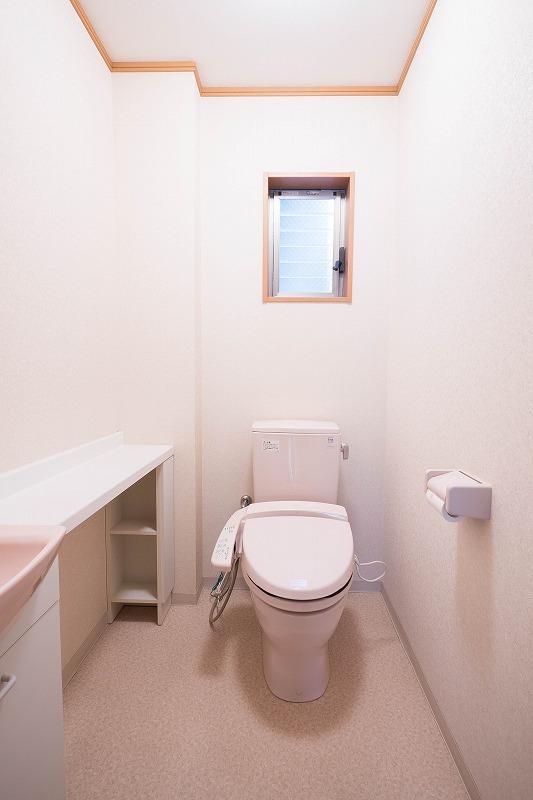 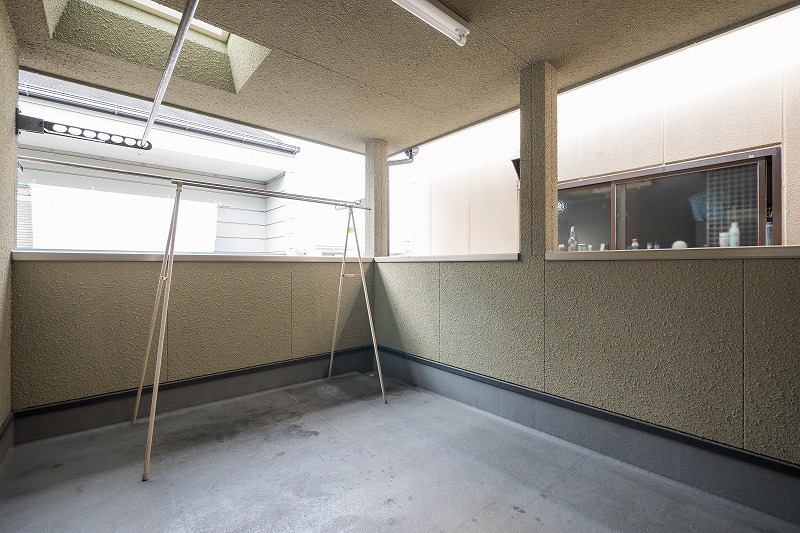 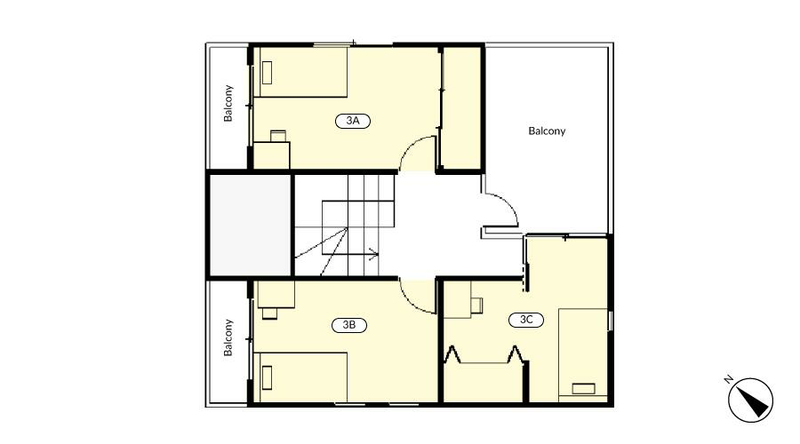 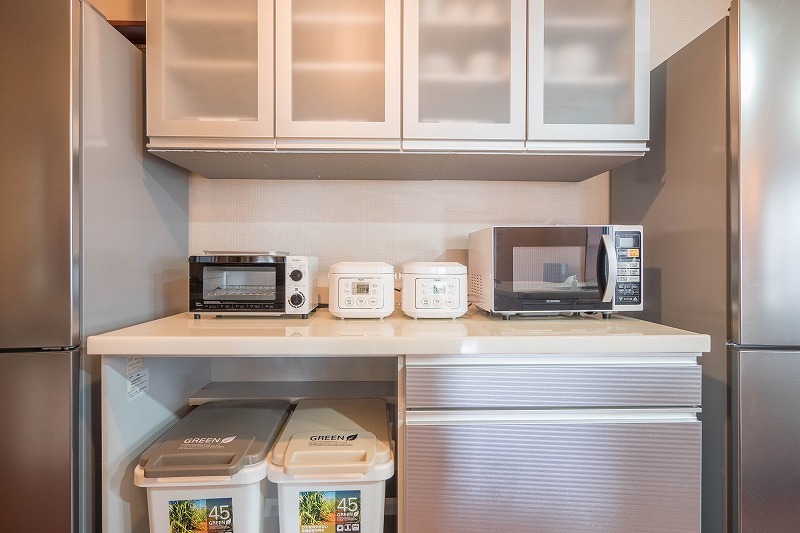 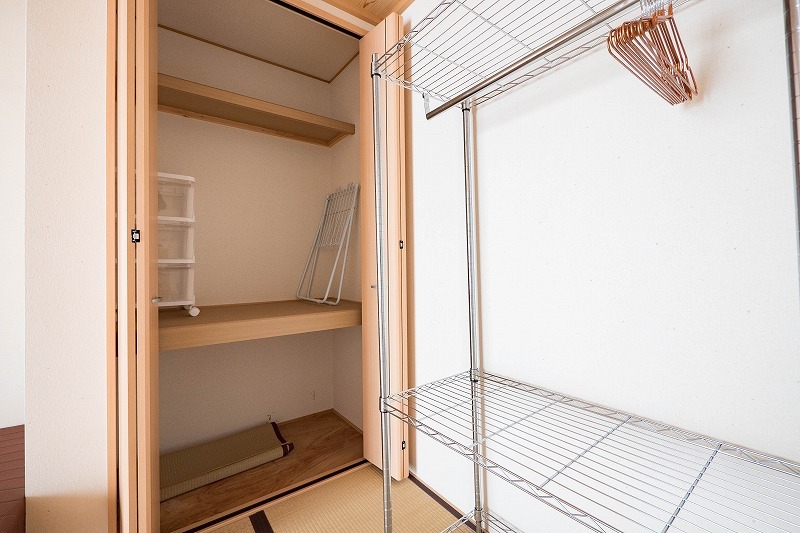 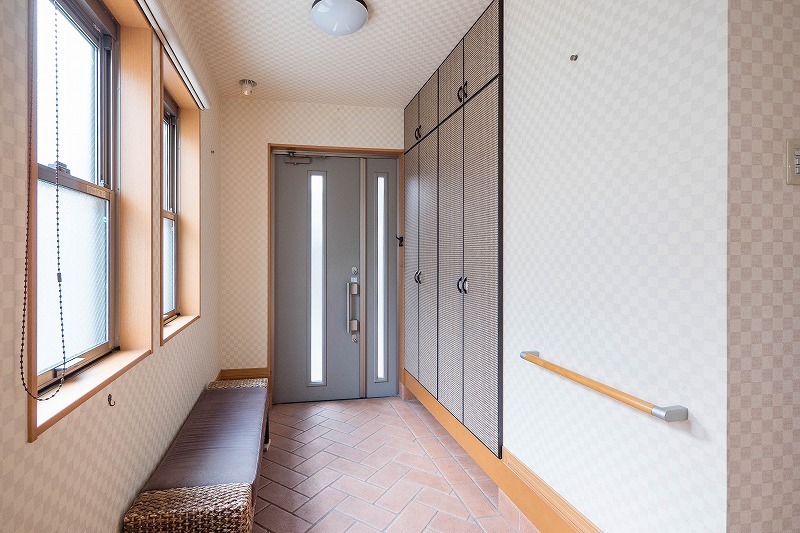 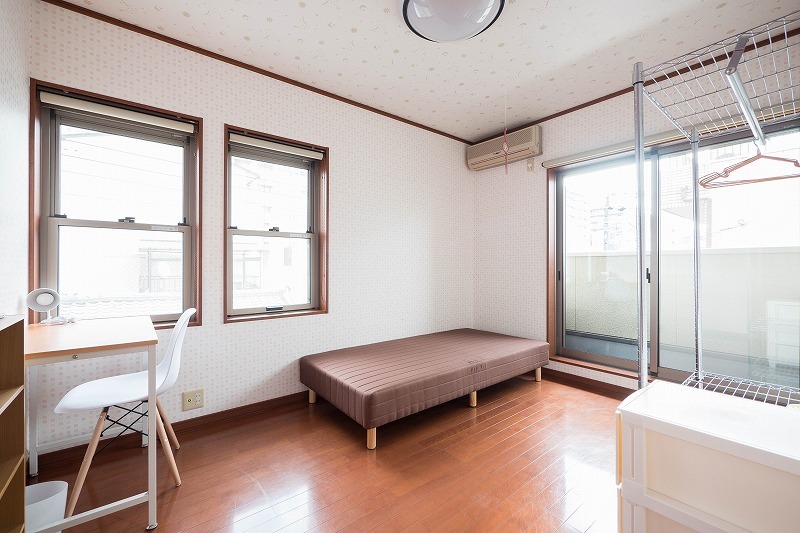 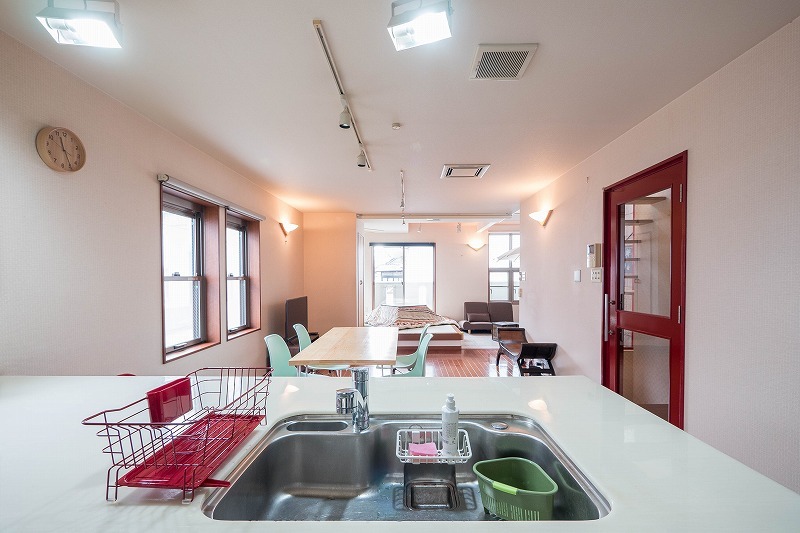 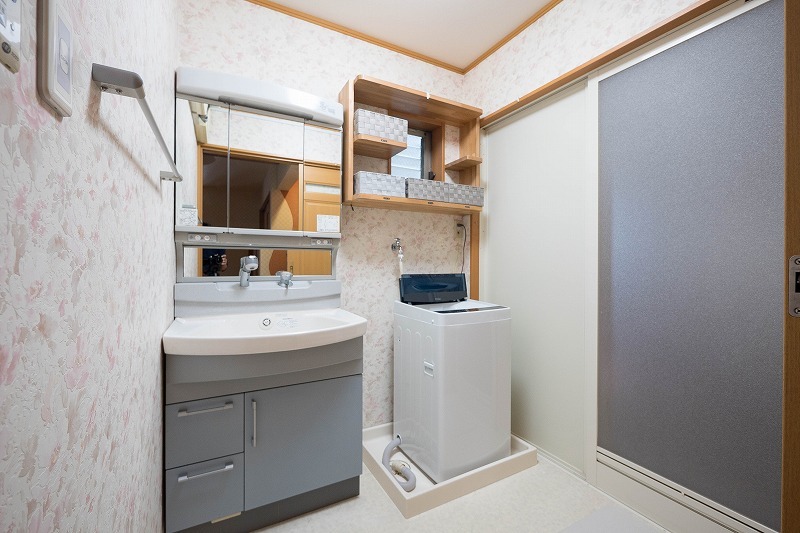 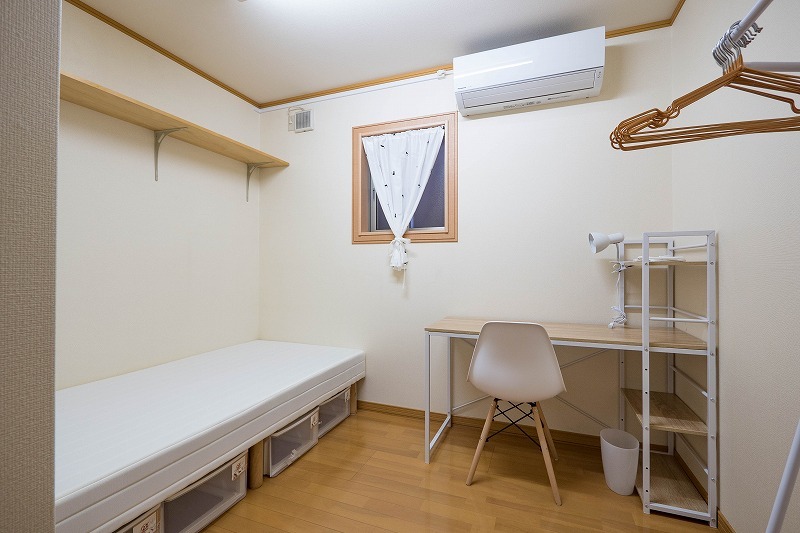 The share house is located 4 mins on foot from Saiin station and this station available to use two line which is Hankyu and Keihuku Arashiyama (Randen). 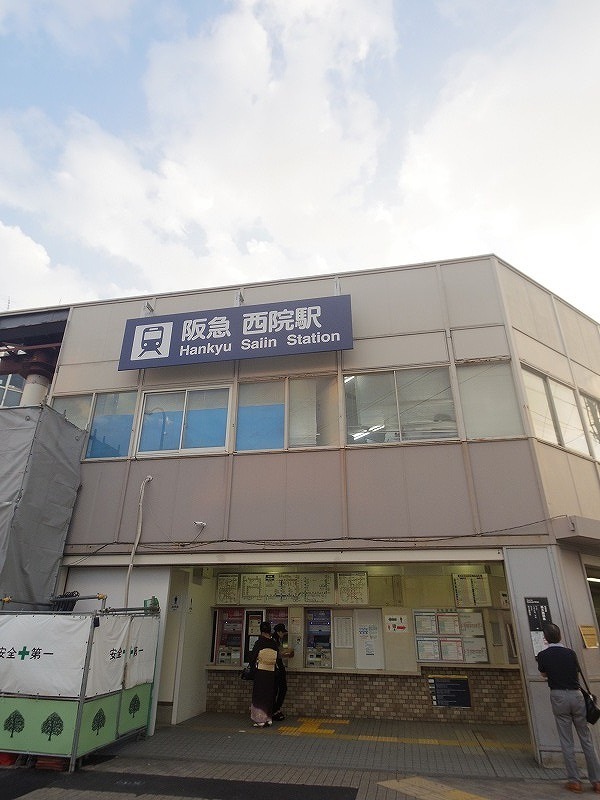 From this station to go to Karasuma-Kawaramachi, popular area for young people in Kyoto, it takes 15 ～ 20 minutes by bicycle. 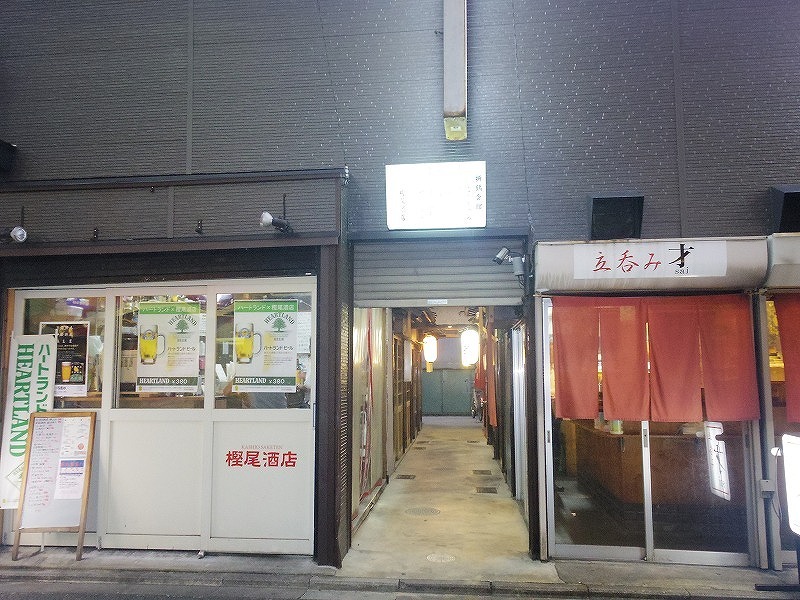 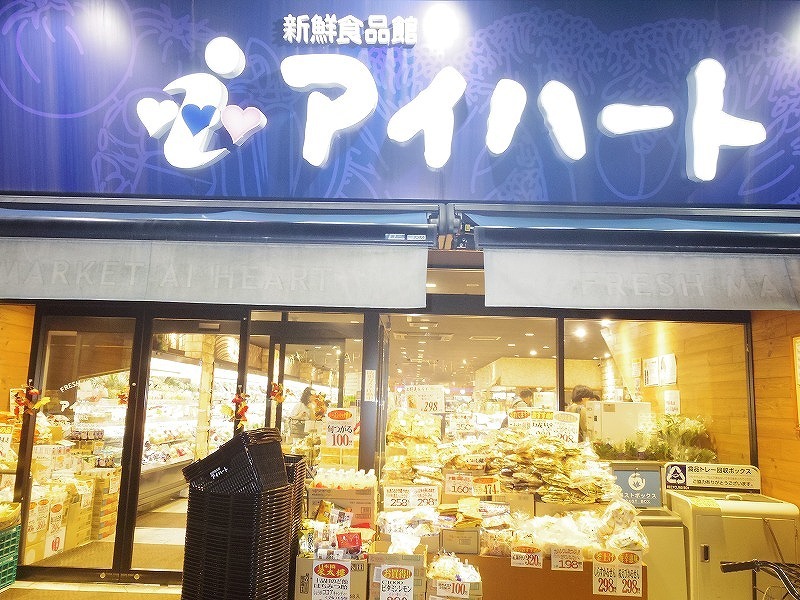 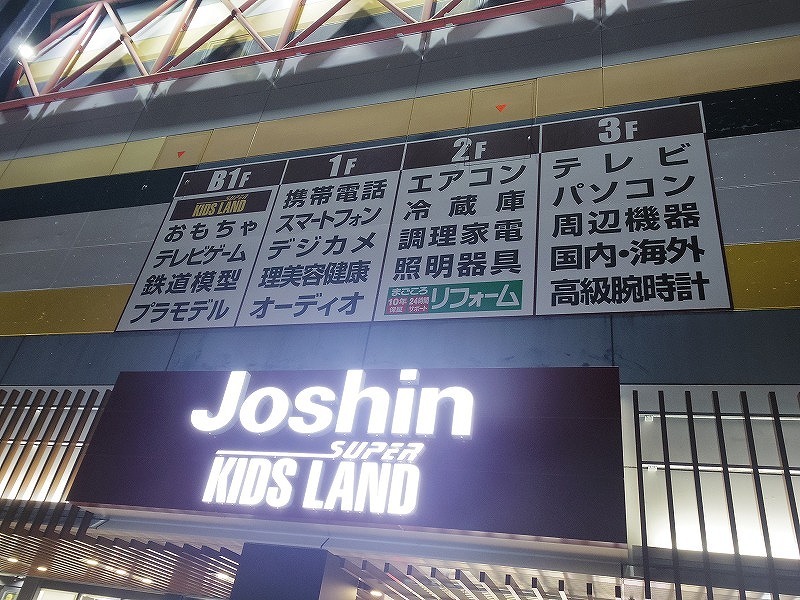 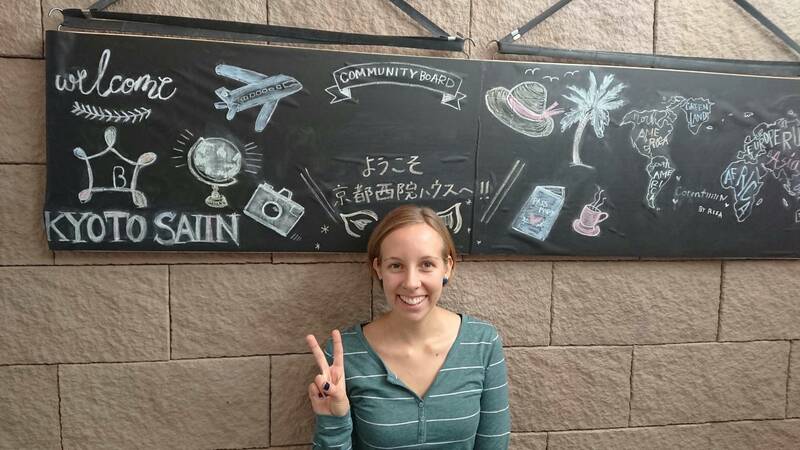 There are supermarkets, drug stores, and various type of restaurants such as cafe and Japanese bar around Saiin station. 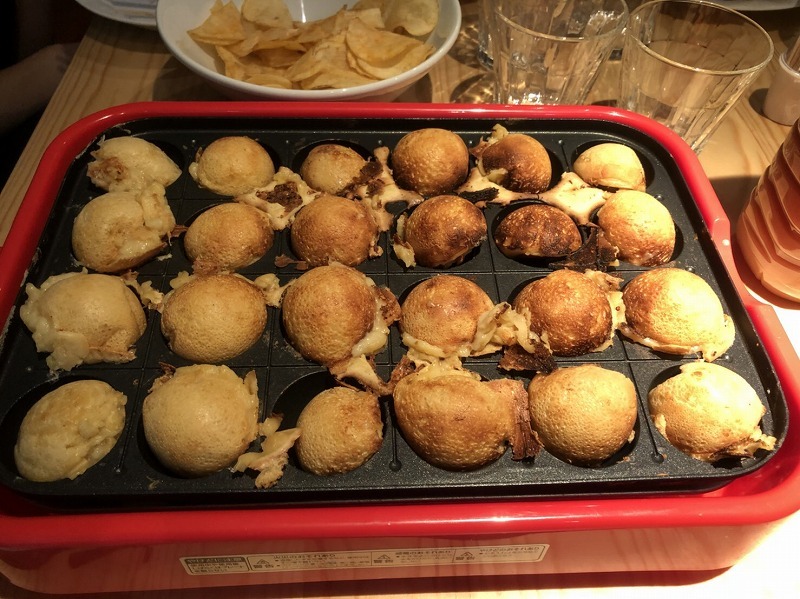 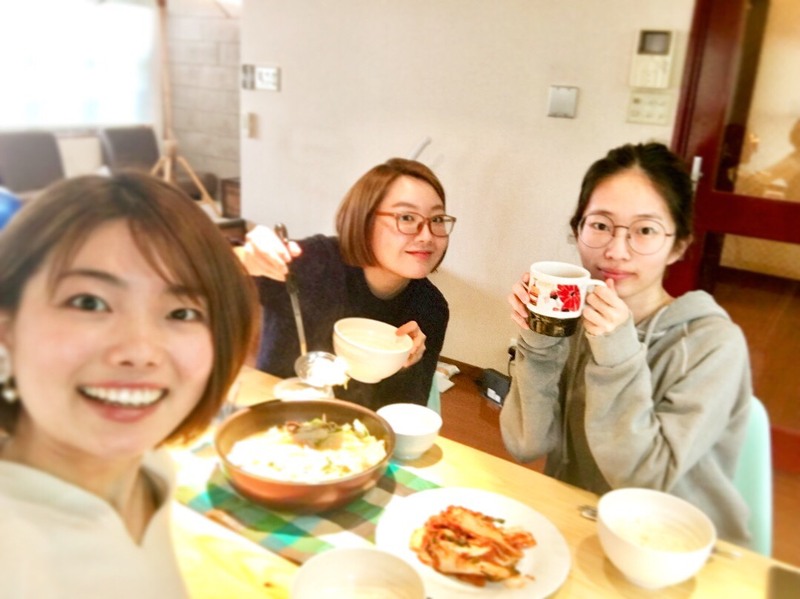 It is fun to explore pursue the best restaurant with housemate. 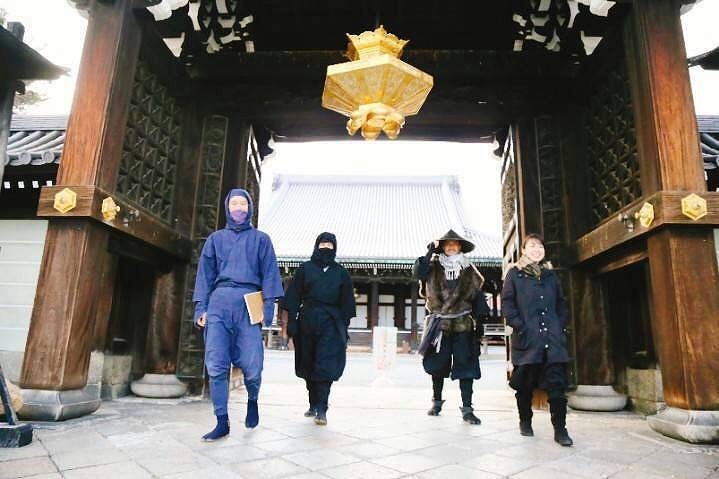 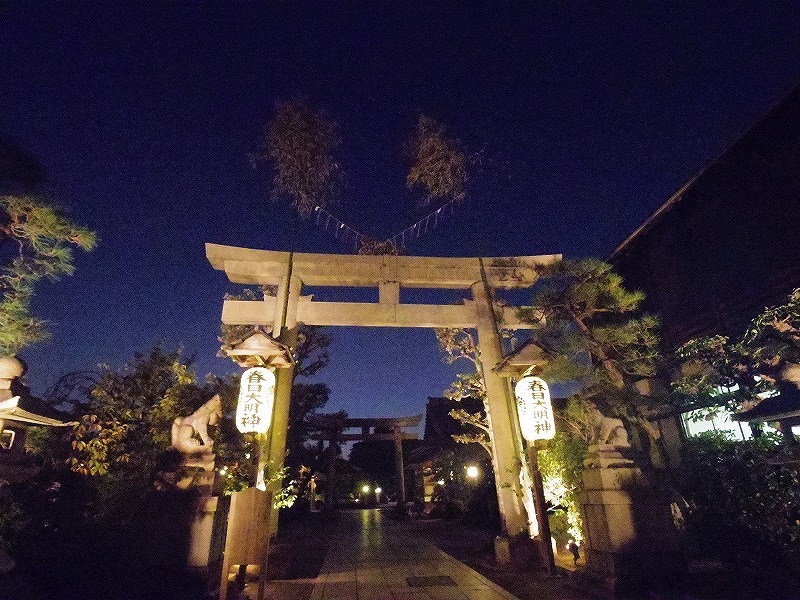 You can find Saiinkasuga Shrine 5 mins walk, directly got to Arashiyama and Ryoanji Temple which is popular for tourist, is 20 mins by train without any transfers. 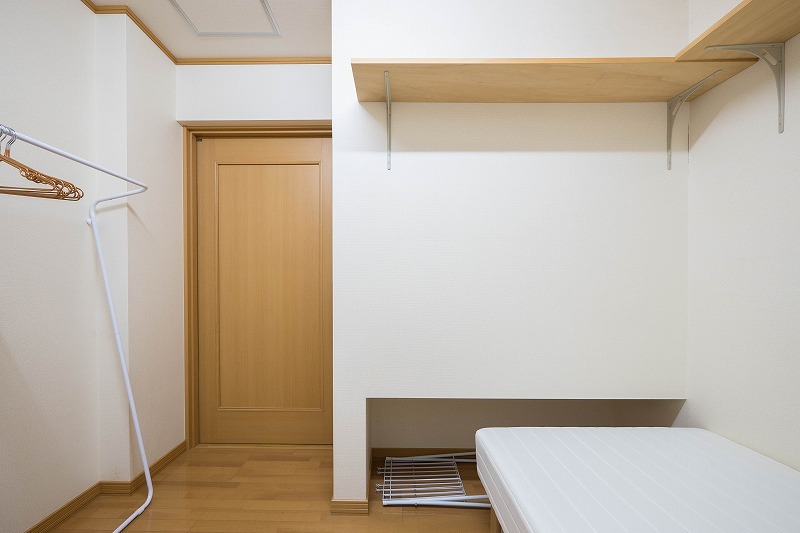 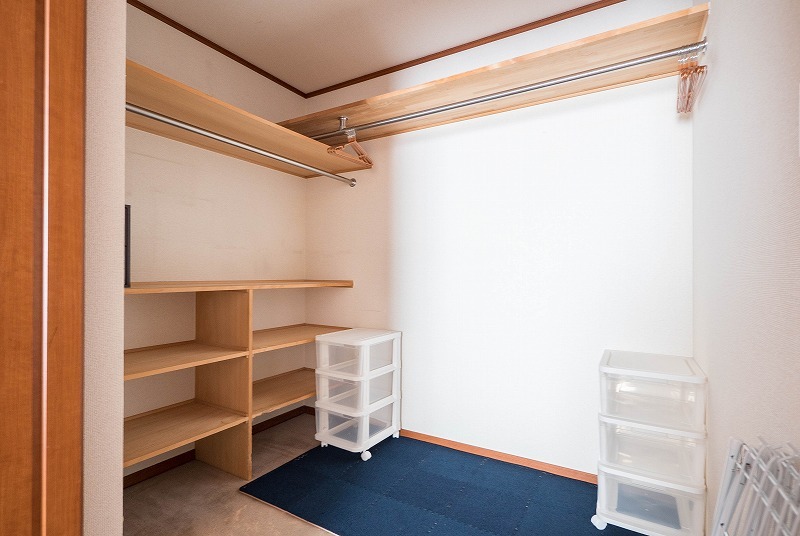 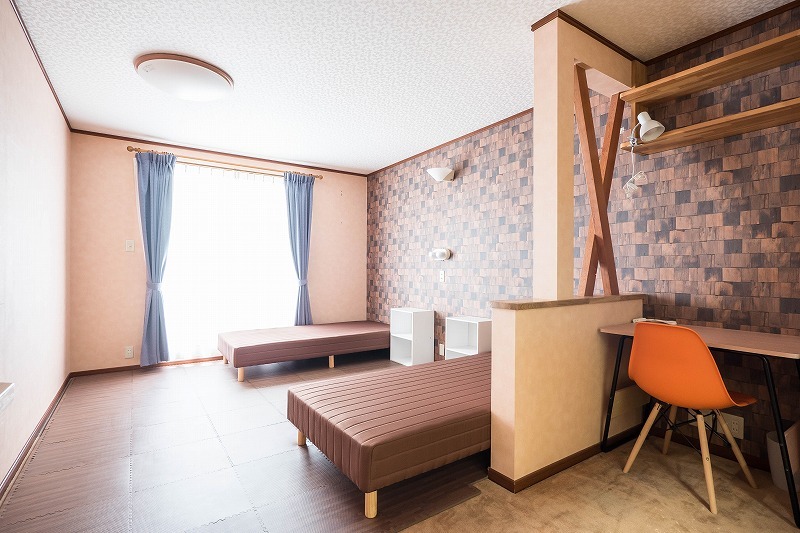 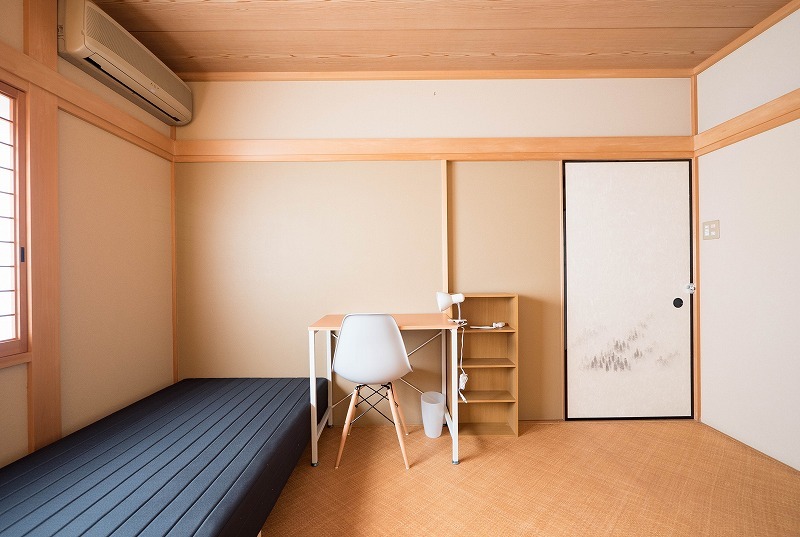 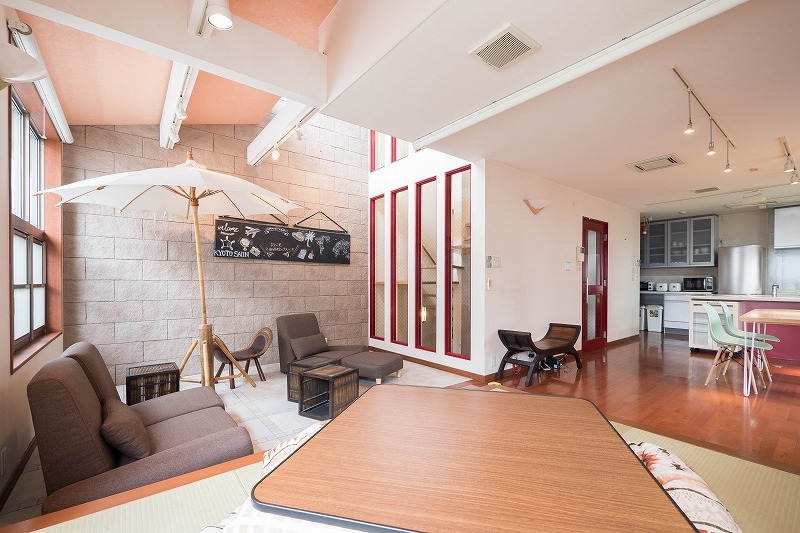 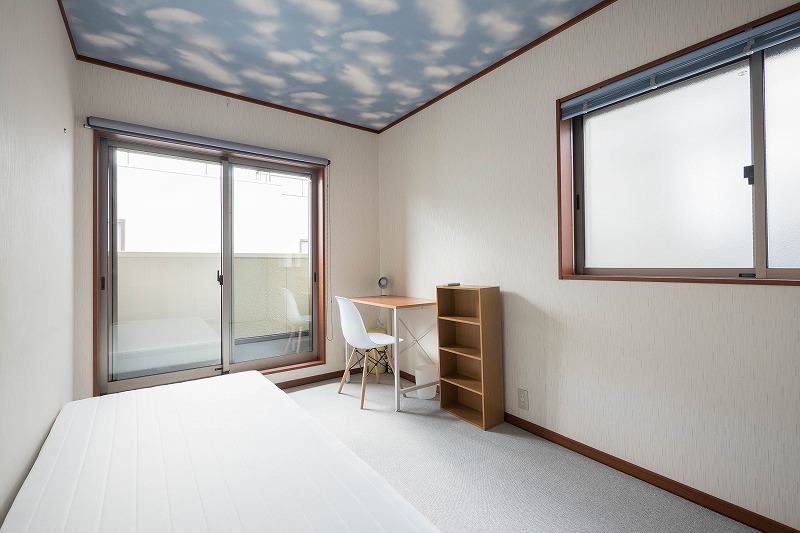 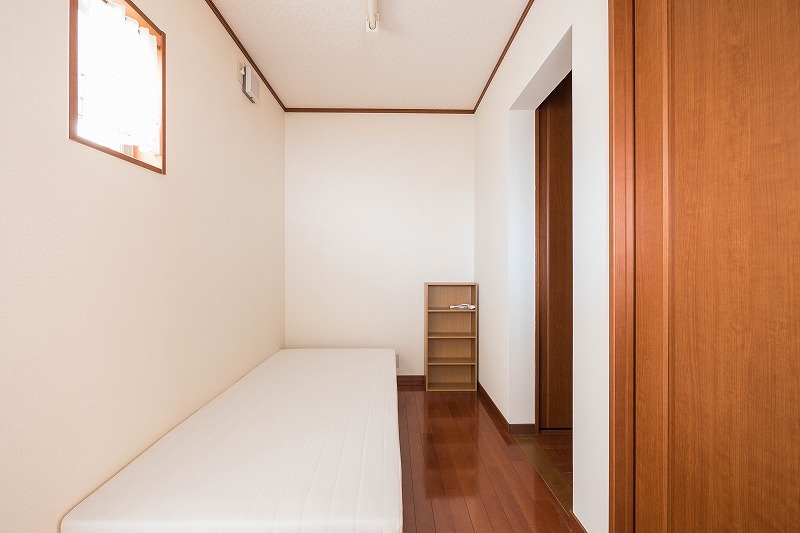 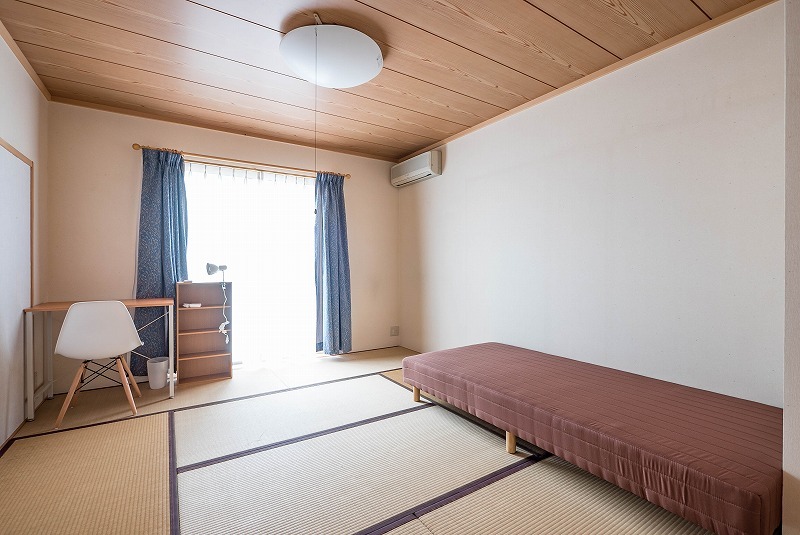 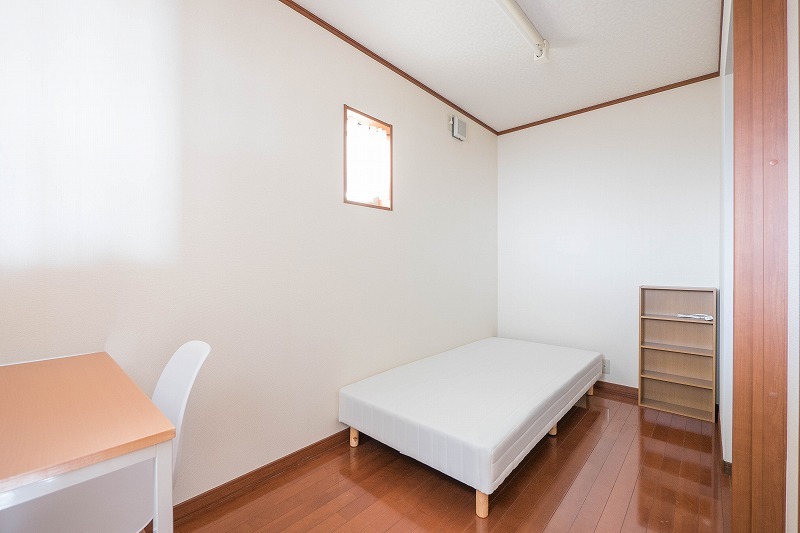 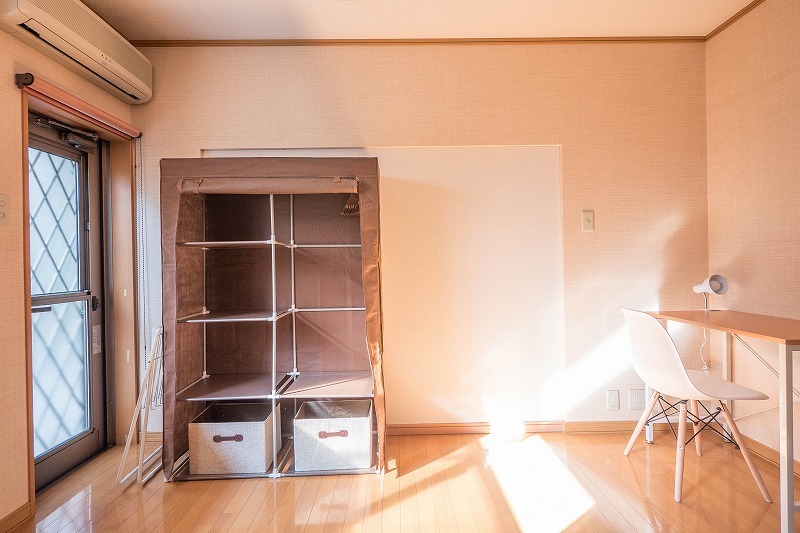 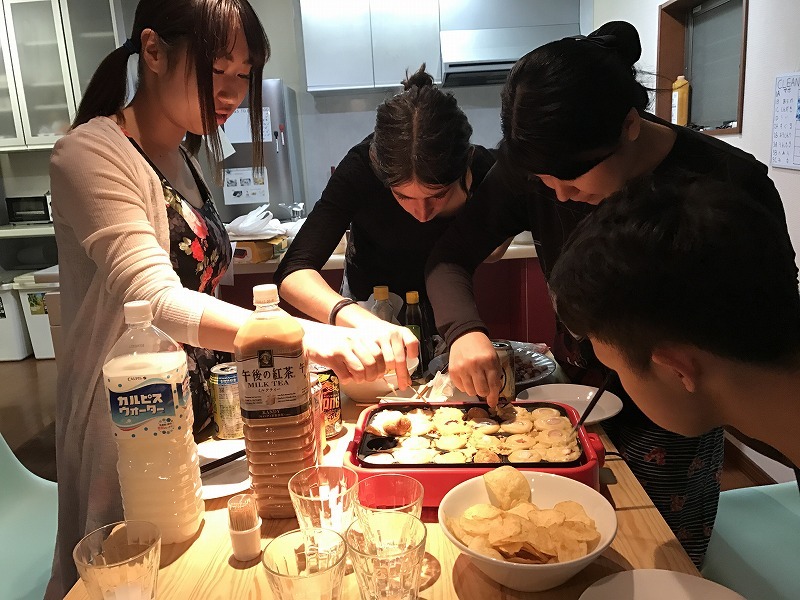 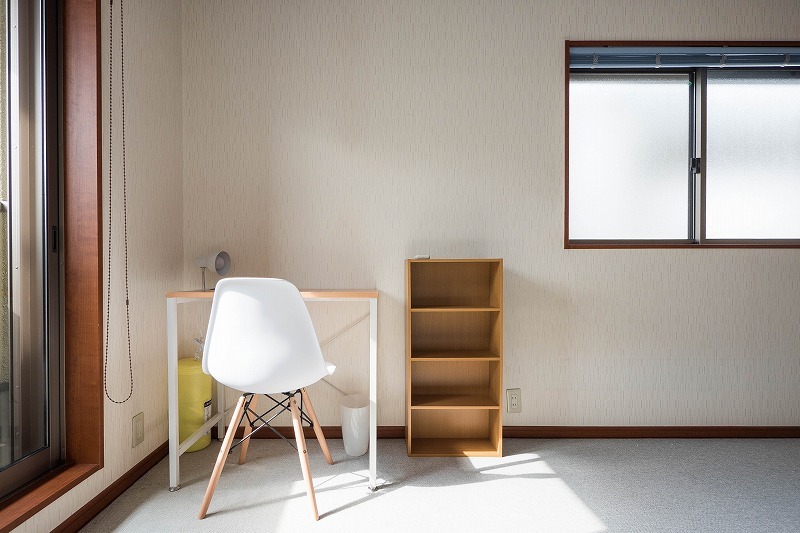 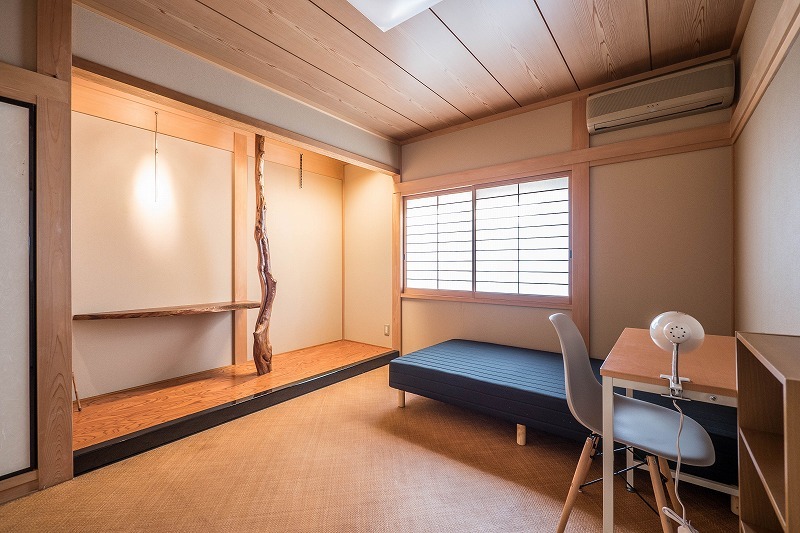 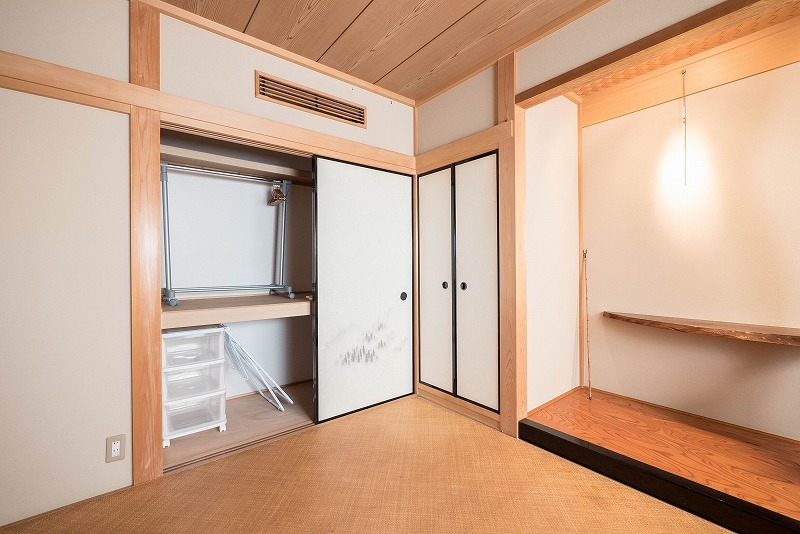 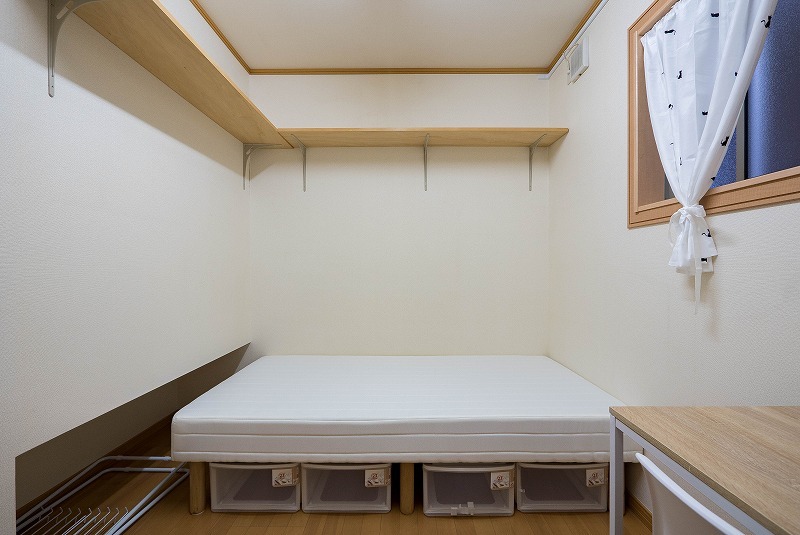 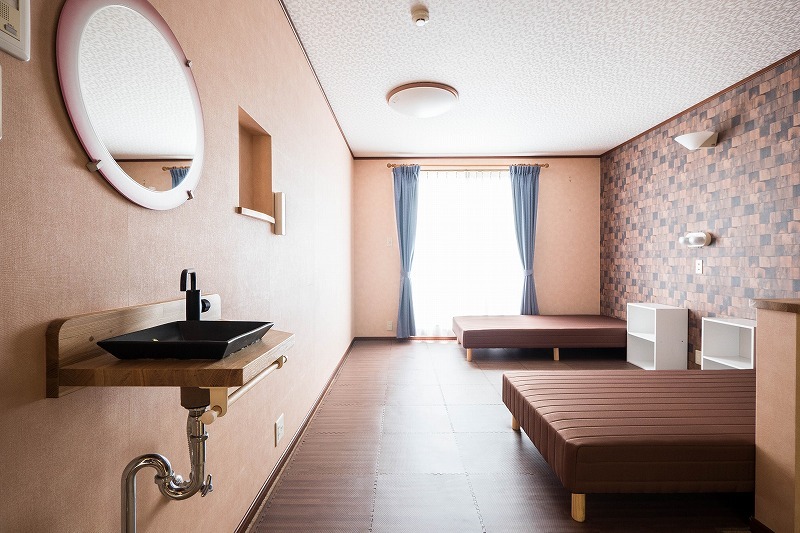 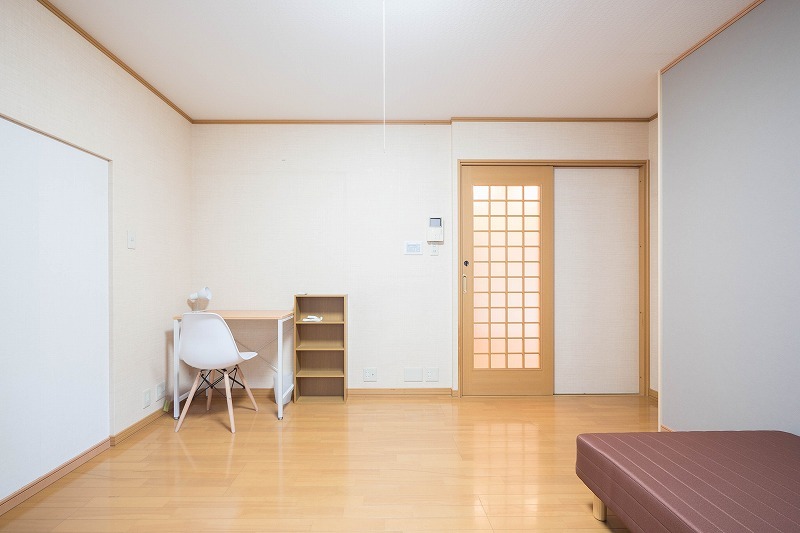 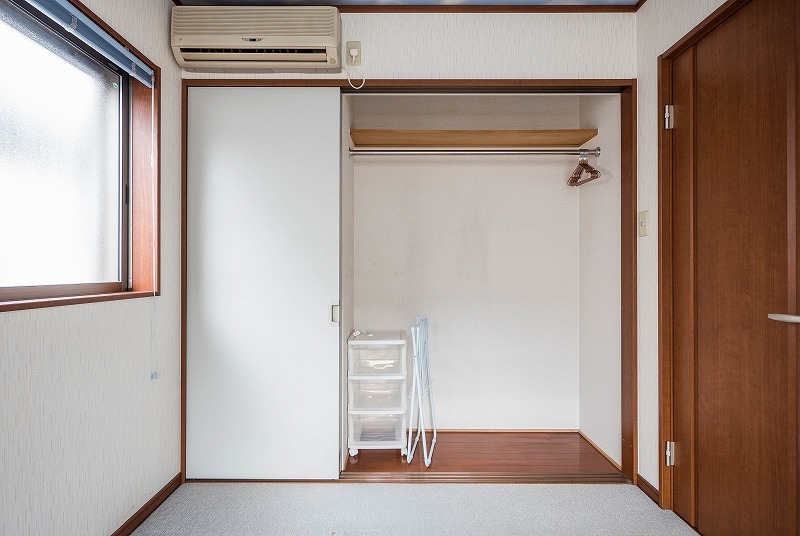 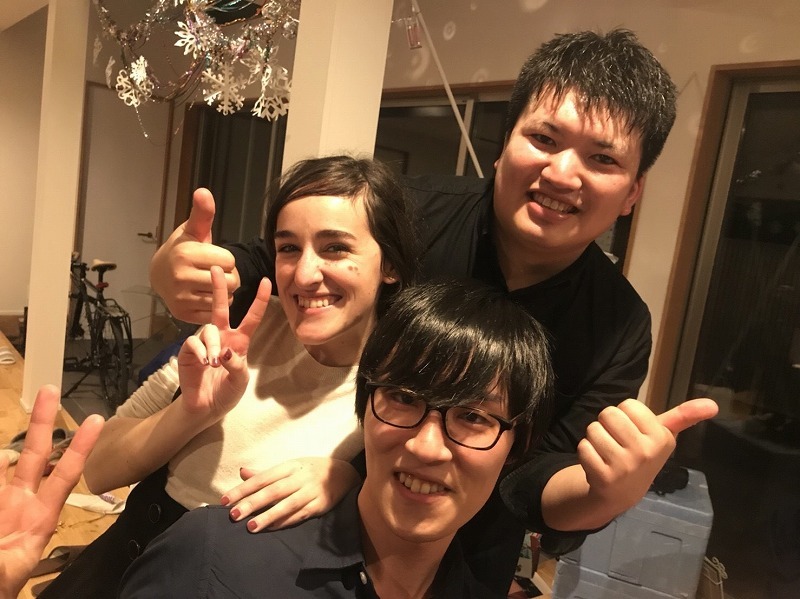 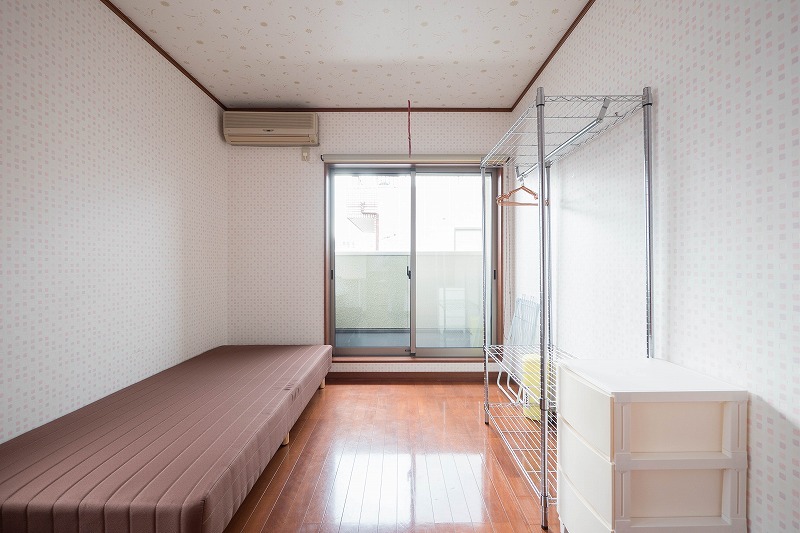 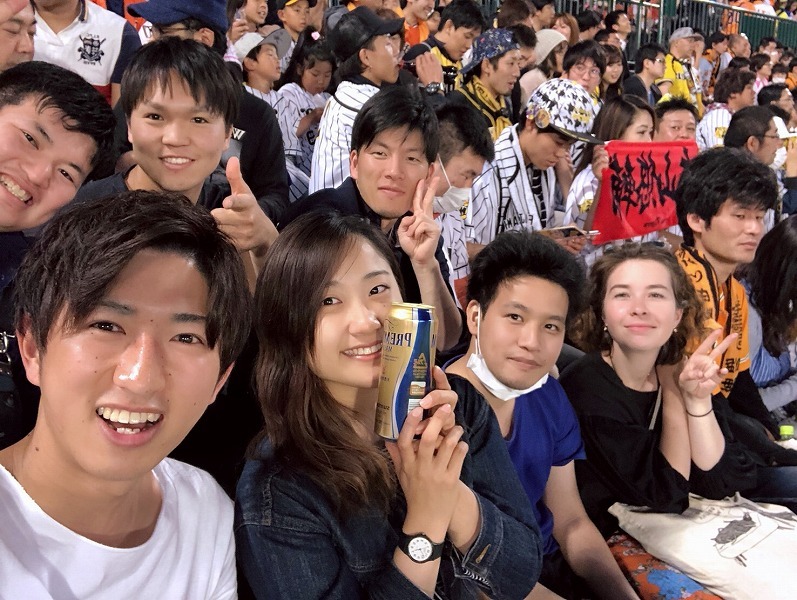 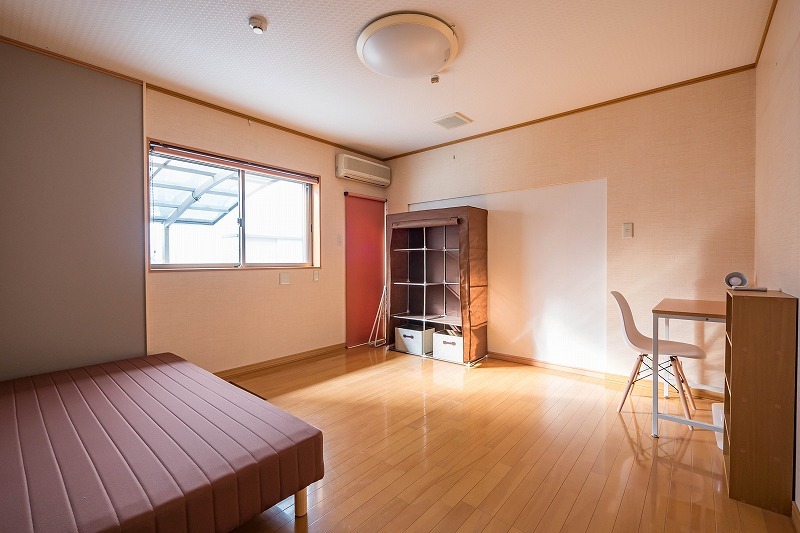 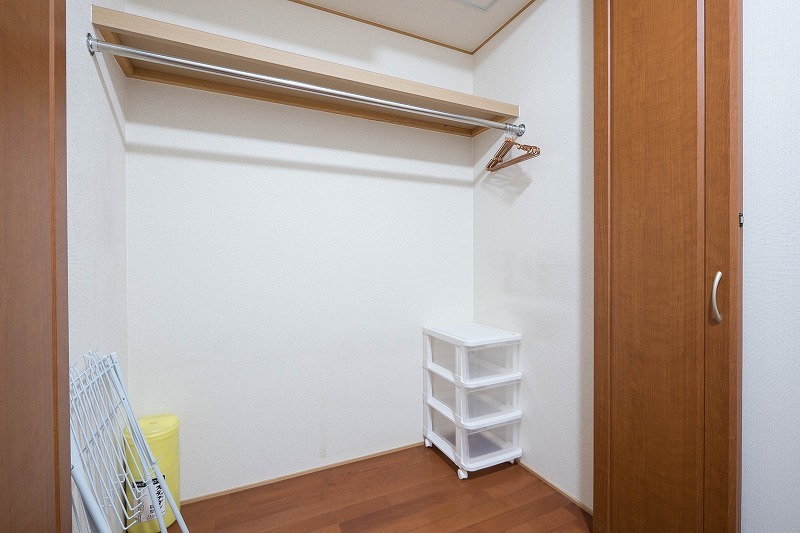 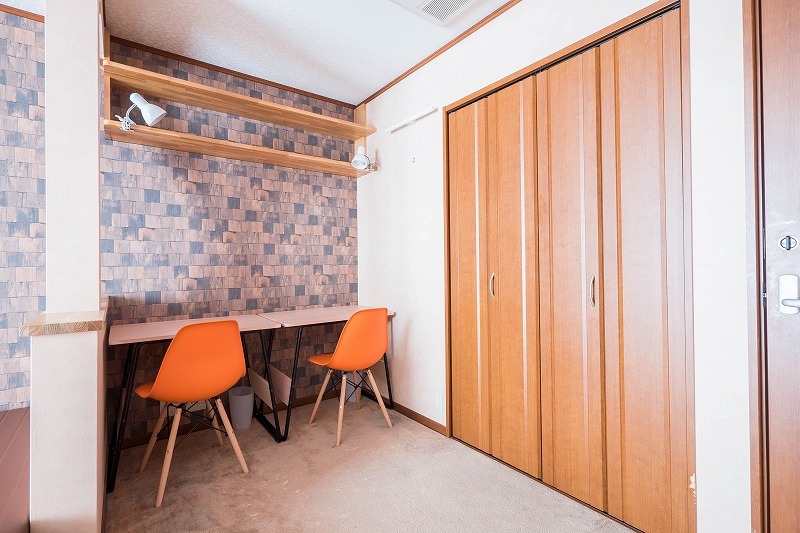 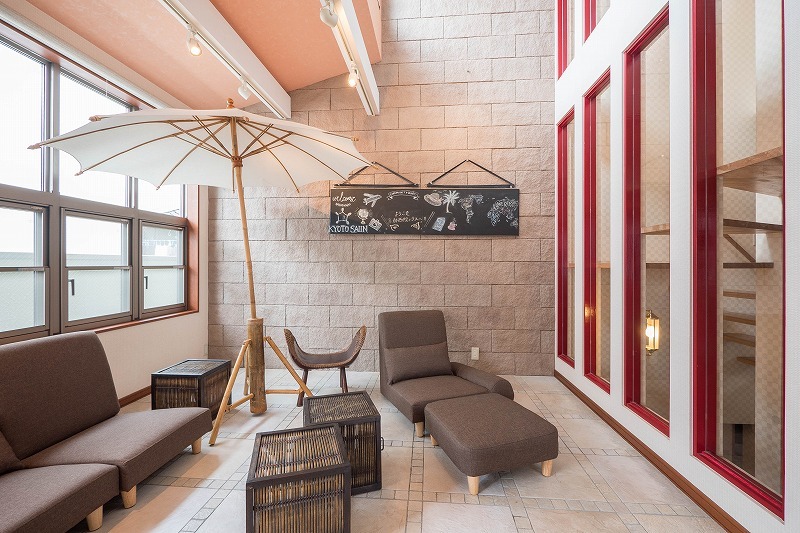 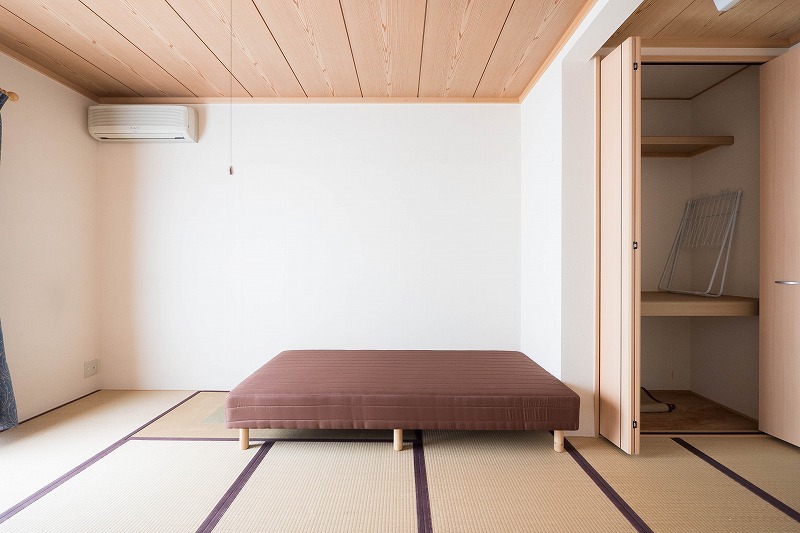 Since this area is convenient for daily life and bring on a feeling of Japan every season, the share house is suitable for tenants who come from another prefectures or countries. 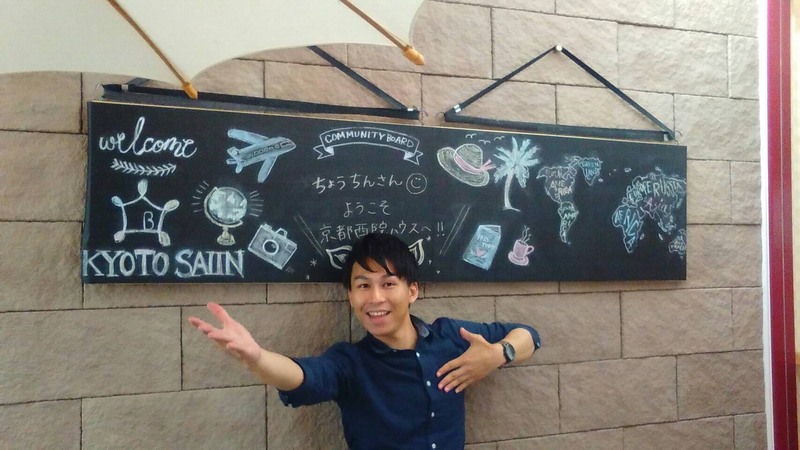 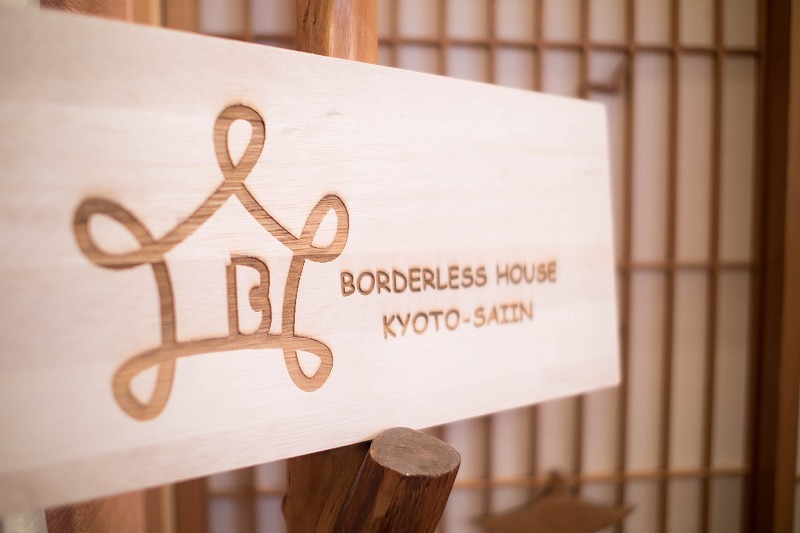 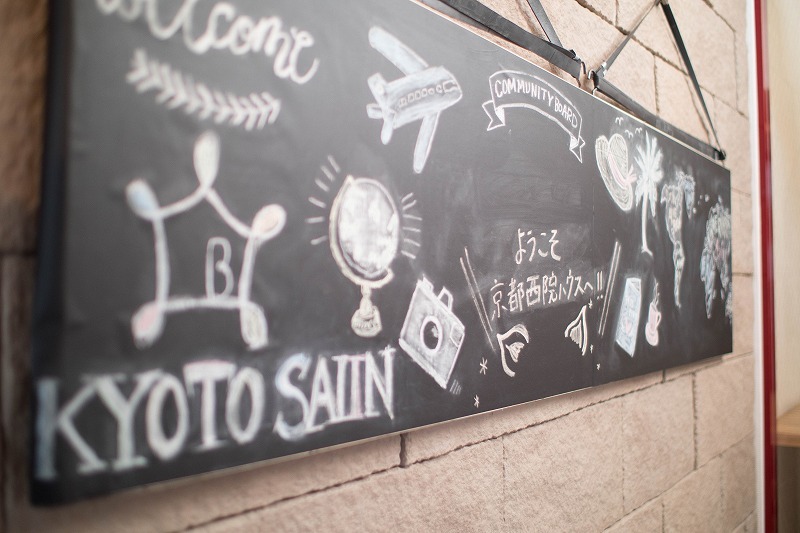 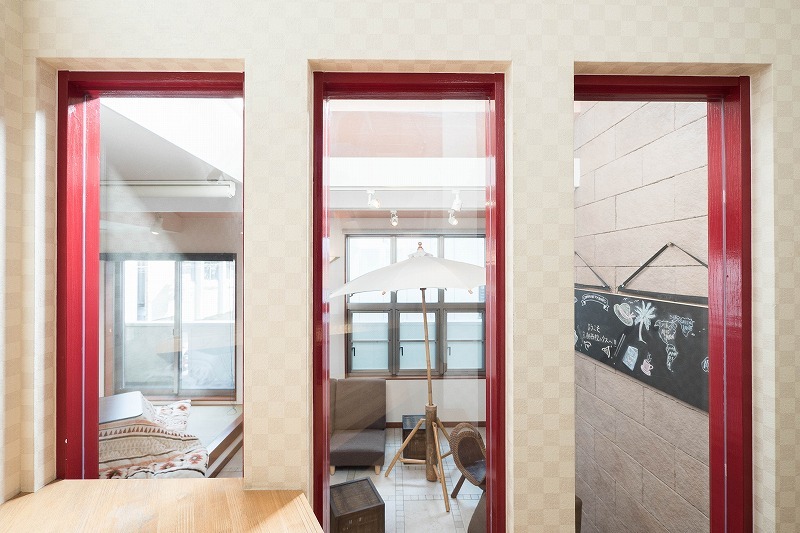 Borderless house Saiin has a homely atmosphere! 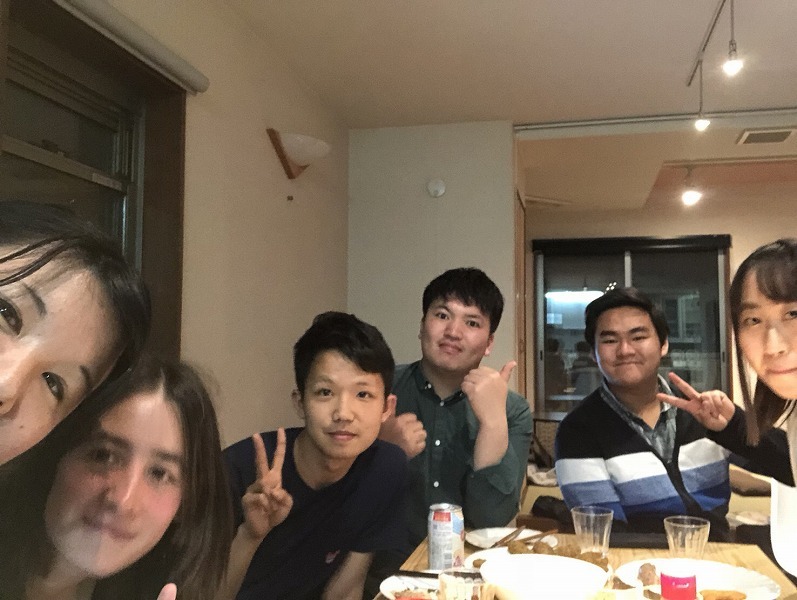 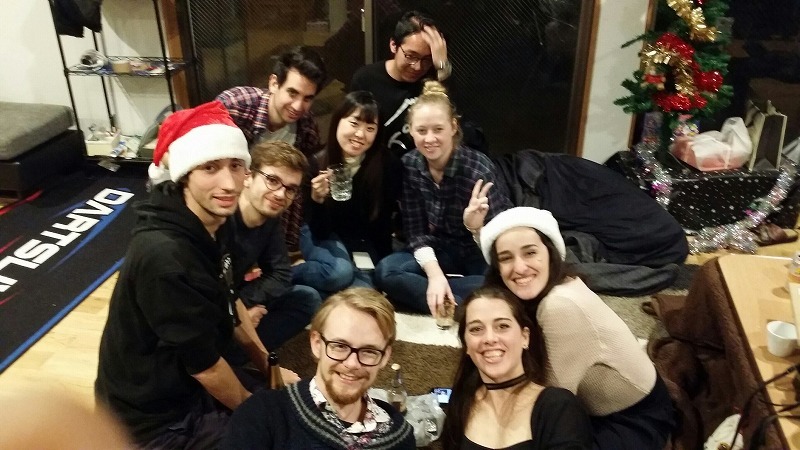 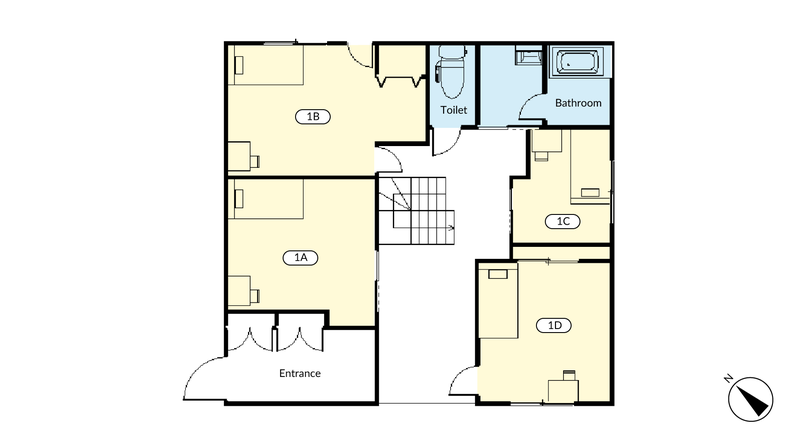 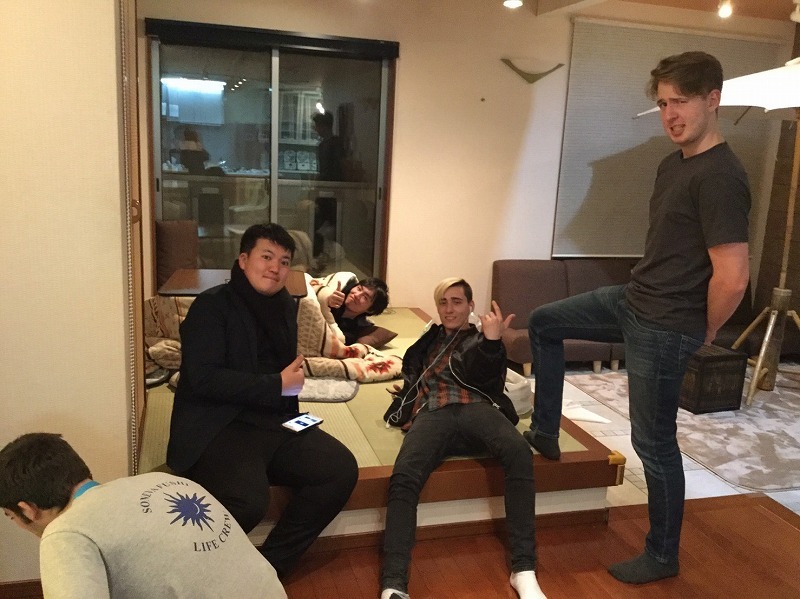 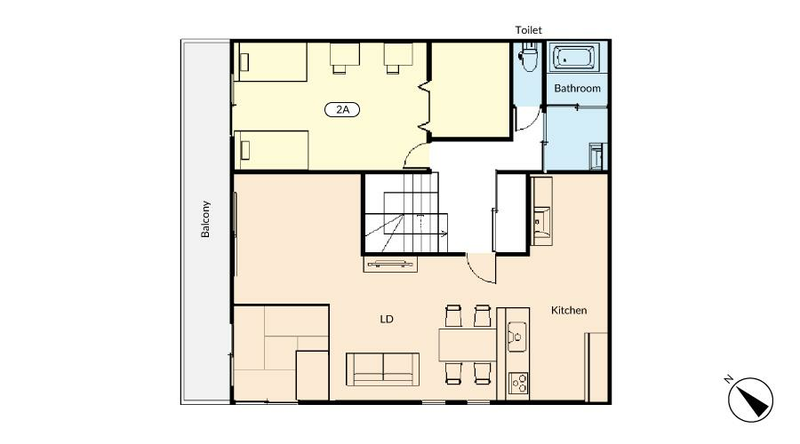 The living room is big enough to gather together and have international exchange while watching movies. 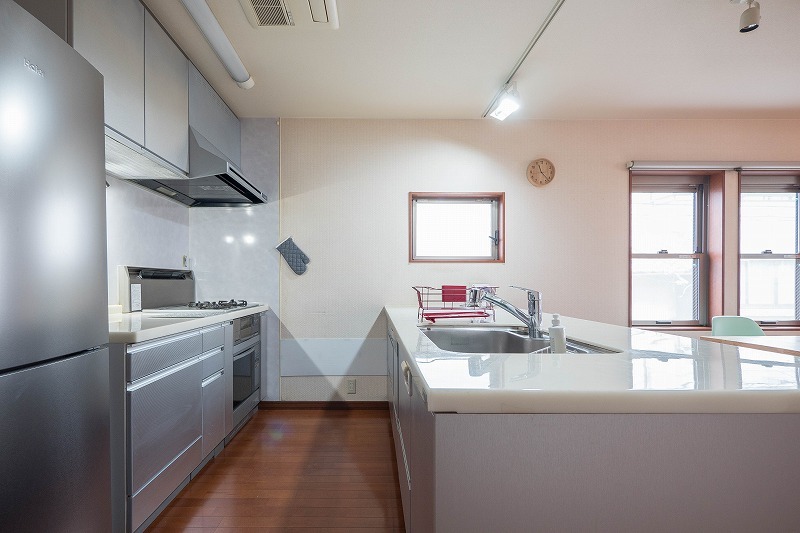 The kitchen with face-to-face seating is good to cooking together with having a nice chat. 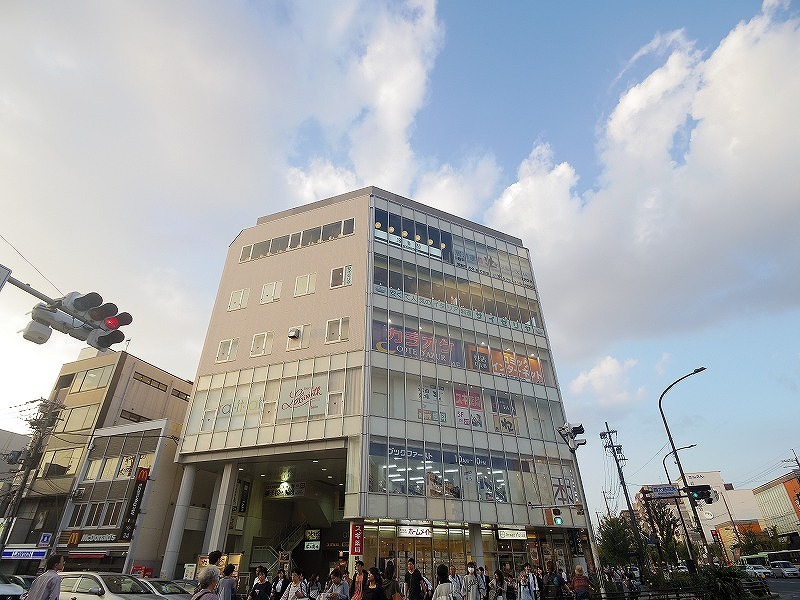 Bicycles and bikes can park at a big parking area for free.